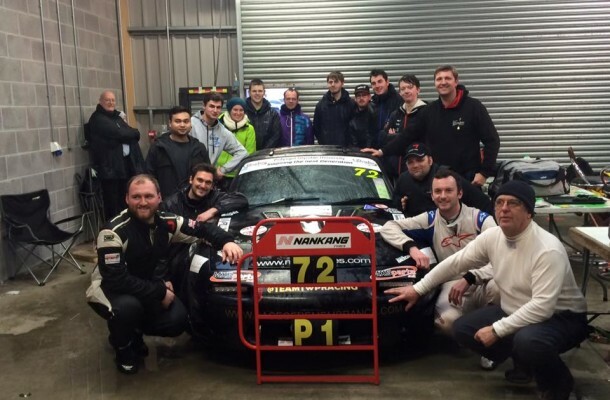 On a incredibly wet at windy day in Anglesey, Team Twp finished top of their class after a gruelling 1000KM race around the Anglesey Circuit. After a title like that, you’d be forgiven for thinking it was plain sailing for the team run by students from Glyndwr University, but it was certainly anything but. Things were tough from the get go for Team Twp, as a blown tyre on the first qualifying run put play to any chance of starting the race in a decent position. Being one of the smallest teams on the grid, there were only eight tyres available for the whole weekend. This meant that the car had a mismatching set of tyres, with super softs on the front, but the standard road legal slicks on the rear. Despite the best efforts of the drivers, the car could qualify no better than last on the grid. But with a 1000KM of racing ahead, all was still to play for. Despite miserable weather being forecast for the whole weekend, the race started on Saturday under perfectly dry conditions, with the sun even threatening to come out at times. The plan for the start of the race was to hang back, no need to undo all of the hard work with one mistimed overtake after all. 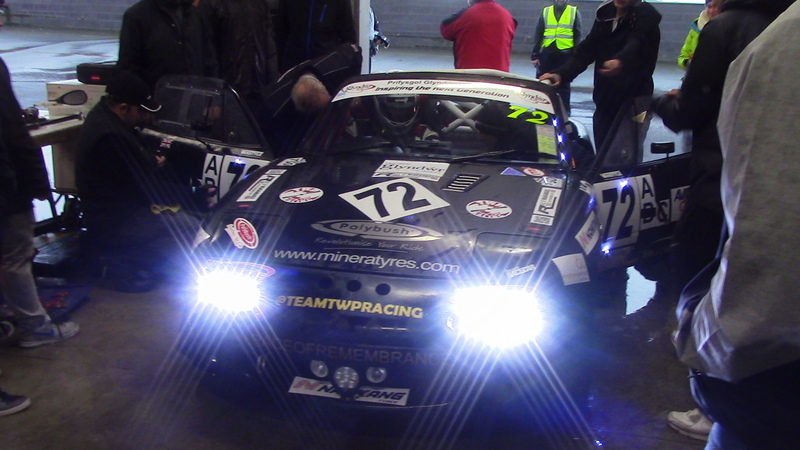 The slow and steady strategy seemed to be doing the job, as teams started to drop out in the dark conditions. 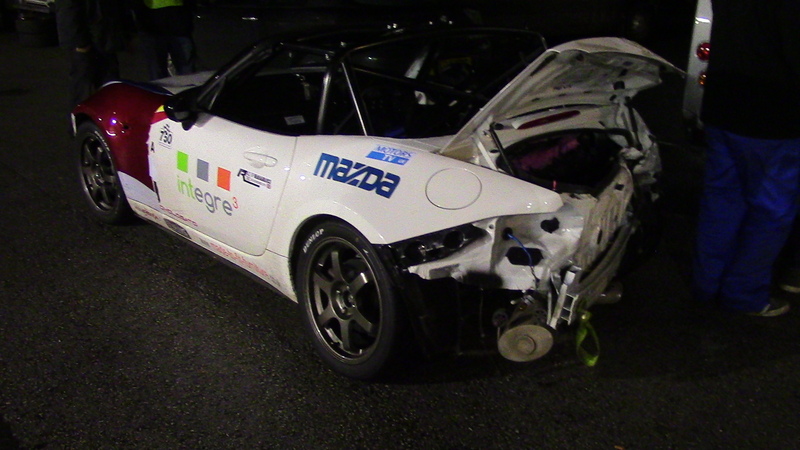 The Roddinsons Mazda was an early casualty, lasting just two laps before retiring. Despite the event being all for charity, some teams were more professional than others, bringing thoroughbred racing cars and professional drivers. The gulf in class didn’t faze Team Twp though, as the team spent most of the race second in class. That was until the next day, when Team Twp’s class rivals CWC Racing retired from the race. 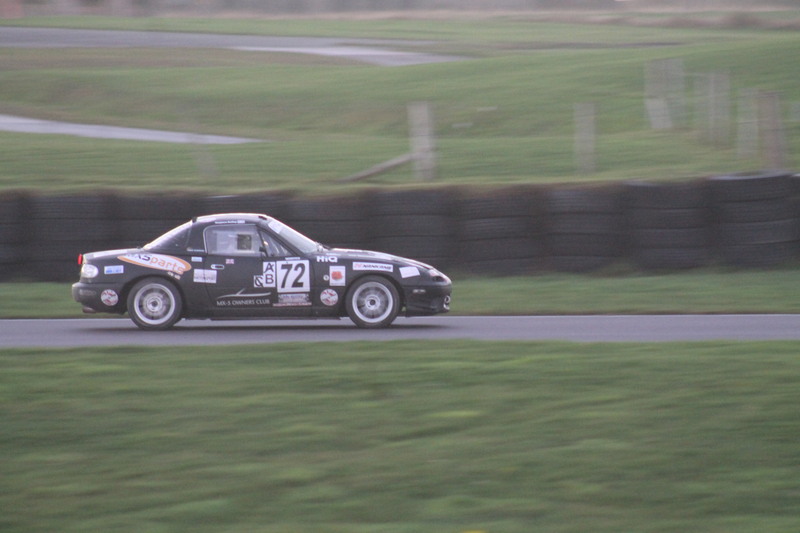 CWC Racing’s Honda Integra was around 10 seconds a lap faster than the Mazda, but shortly after a routine pit stop, the Integra’s engine blew, and it was game over. 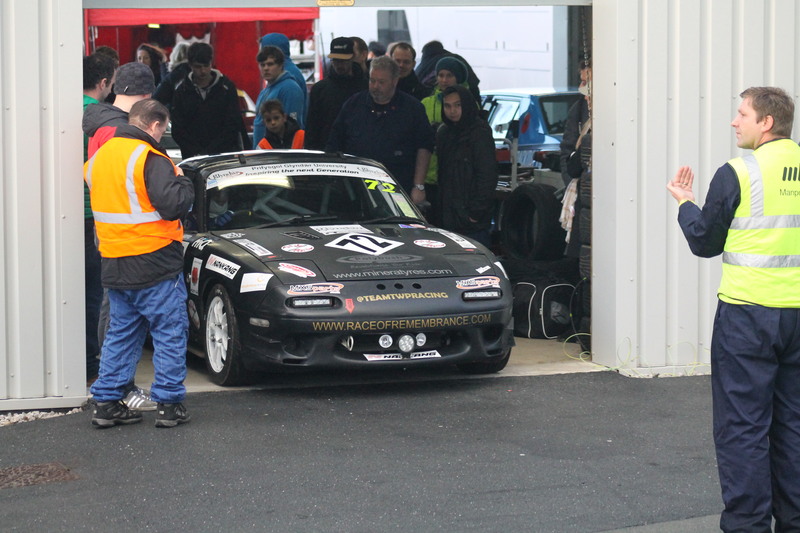 Apart from some late race dramas (the roof blew off), the car performed valiantly, and easily made it to the end of the race, finishing first in class. That end did come slightly earlier than expected though. The weather was poor throughout most of Sunday, but really began to deteriorate after around 2 o’clock, and with the race still having around an hour to run, the stewards made the decision to stop the race. All in all, the race was a fantastic experience for all involved, with the team being delighted by the result.